This is the correct wall lifting handle on the Portafold. Be wary of other bow handles that look similar but don't match. 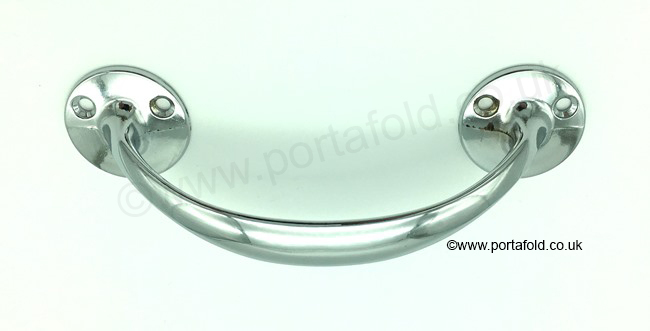 This one has the correct hole spacing, the correct length and is the correct (chrome) finish.